Here’s a quick announcement that we hope will be of interest. Our friends at Creativebug have just kicked off their big spring sale. For a limited time, you can get access to over a thousand of their on-line, streaming classes for only $1 for your first three months. 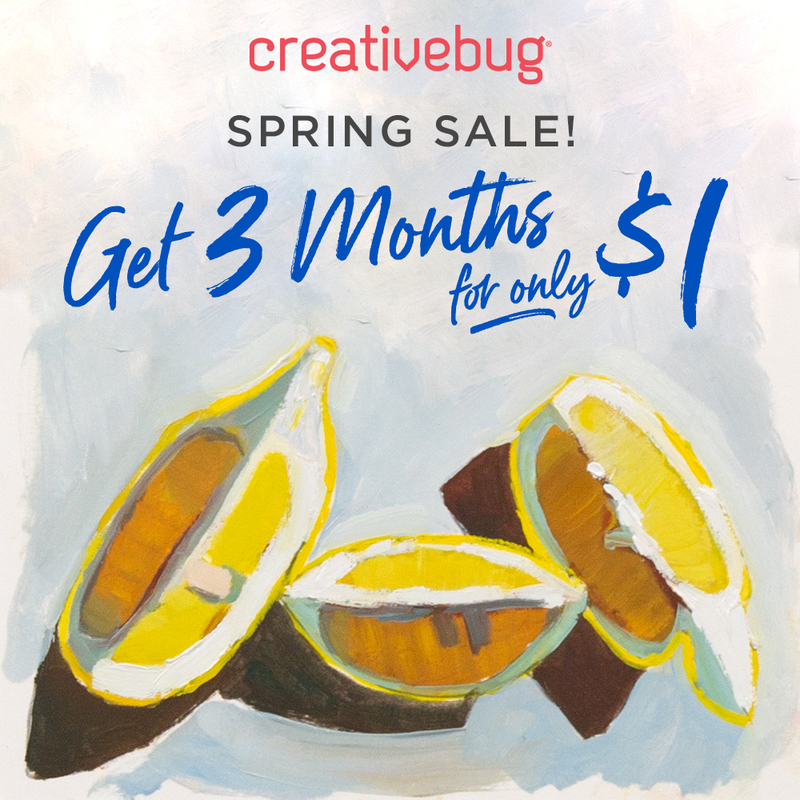 Creativebug always has something to help you start creating and to keep your creative juices running. With your subscription, you’ll be able to take your apparel sewing skills to the next level with all of Liesl’s instructional classes. Learn the right way to insert a zipper, sew bias facing, and more. Sign up for your special three-month $1 offer by clicking this link.